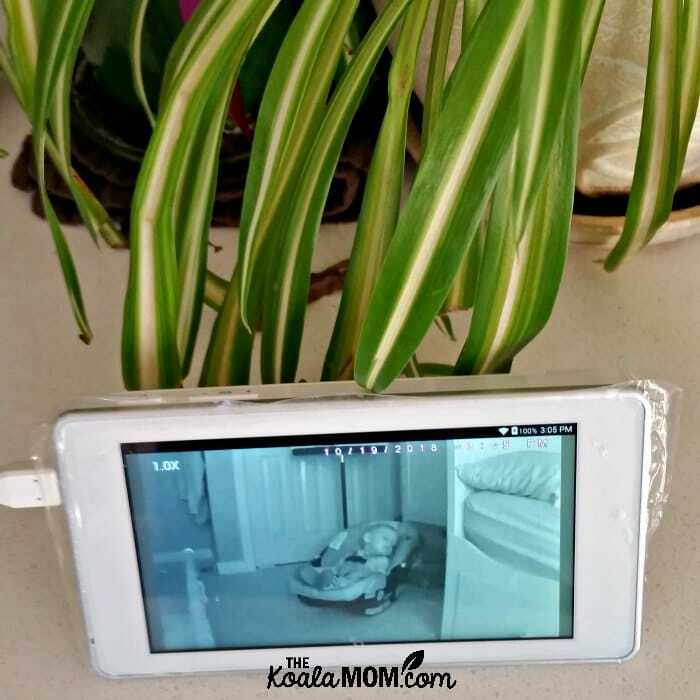 In our busy household, a baby monitor is a must-have item. Joey naps in the furthest bedroom, with white noise on and the door closed. His room is off-limits during his nap, so I appreciate having a video monitor to keep an eye on him. 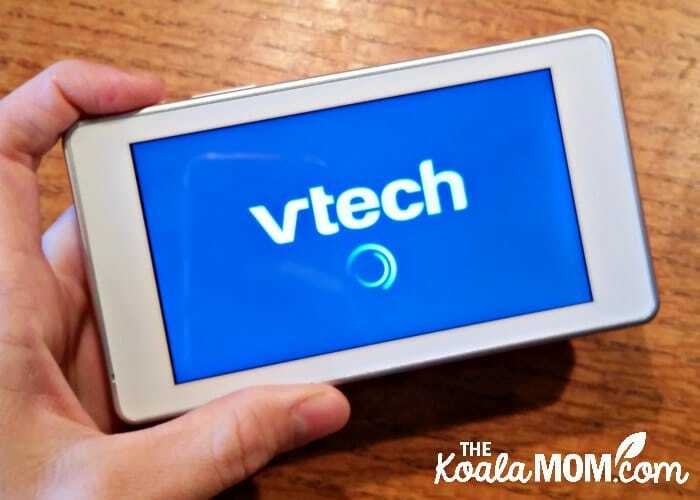 I’ve been testing out the Vtech Wifi Video Monitor for the past several months. Here’s how we’ve used this monitor (for more than just watching Joey sleep!) and what we like and don’t like about it. I received this monitor and camera for review courtesy of Vtech; all opinions expressed remain my own. This post contains affiliate links. The Vtech video monitor comes with an adorable little round camera (which we’ve nicknamed BB8) and a parent tablet. The camera is easy to control via the tablet—simply swipe your finger across the tablet screen to adjust where the camera is aimed. You can also preset several camera settings. If you usually have the camera in a certain location, just hit a button and it will aim itself in the right place. Joey currently sleeps in a crib mattress on the floor (just as Pearl did). His mattress has a wall along one side, a chest at the top edge, and a baby safety rail along the other side. He can’t roll out anyway, and I can lay down with him to soothe him to sleep. When he wakes up from his nap, he can get out of bed himself. Usually, he just yells to let us know that he’s up and wants to come play. I’ve tried a few different locations in his room for BB8. The best plugin is on the wall opposite his bed. Sunshine’s wardrobe is there, so I put BB8 on top of the wardrobe. However, my husband figured out that the camera couldn’t handle the sharp angle pointing down toward the bed. The view gets fuzzy if the camera angle is down too far. Now, I put the camera up on the wardrobe when Joey isn’t sleeping, and move it to the floor when he’s sleeping. This lets me point the camera straight across at his bed. BB8 connects to the parent tablet via WiFi. It was pretty quick and easy to get all the units online, though I did need the instruction manual (I’m an engineer’s daughter—I usually just try to figure things out without the manual!) We always have our WiFi on, so using it for the monitor isn’t a problem. Obviously, with a camera attached to the internet in your home, you’ll want it secure.The instructions included several notes about security, including how to pick your camera name and how to update the software on your camera and tablet. To find out more about how to make sure your WiFi monitor isn’t compromising your home safety, I recommend reading Parent Alert! How to Keep Your Kids Safe Online. I found out about one security feature on this monitor by trying to take it on my annual spiritual retreat. I knew the retreat centre had WiFi, so I thought I could leave Joey asleep in our room while I kept an eye on him via the tablet from down the hall. 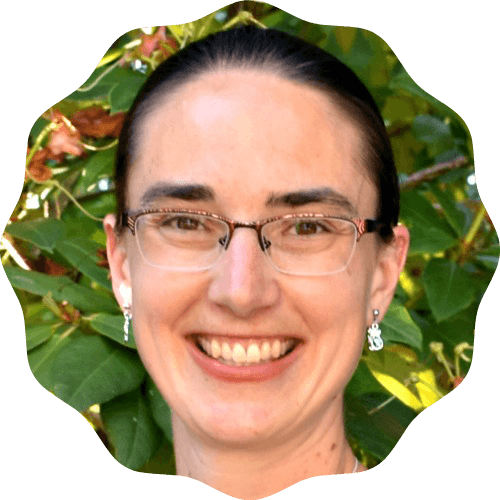 However, because the retreat centre is located in a small, remote town on Vancouver Island, their WiFi connections were all open. BB8 refused to connect to an unsecured WiFi network. While the Vtech baby monitor comes with a small tablet, it also has the ability to connect to any tablet or smartphone. Simply download the Vtech baby app onto your device and connect it to your camera. Before getting this monitor, I remember thinking it would be handy to monitor baby on my phone because I almost always have my phone with me, even in the house. You could also remotely monitor baby, for example, while a babysitter is there. 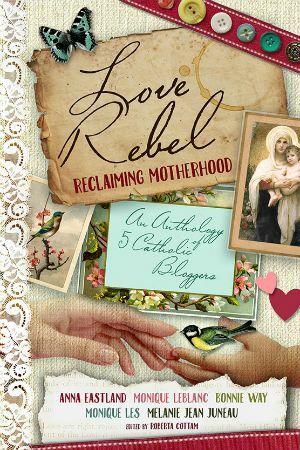 As I mentioned, I was hoping to use it on retreat with me. The retreat centre was fairly small, so I could have let Joey have a nice quiet nap while I was still taking in the talks. If you are planning to use it outside the house, you’ll want to make sure the location has a secured WiFi network. One of the things my husband liked about this monitor was its multi-purpose possibilities with wireless monitoring. Several of its features cause it to act more like a security camera than a baby monitor. The tablet has the ability to connect to two different cameras. This would be great if you had a toddler and a baby napping in separate rooms. Or you could monitor a play area and a bedroom while making supper in the kitchen. Right now, we have both a baby and a ten-year-old in the house. Ten is the generally accepted age (here in Canada) for giving kids a bit more independence by letting them stay home by themselves. Sunshine has been eager to do this, if I’m running a quick errand or picking up one of her younger sisters from a class. Via the remote monitoring, I could keep an eye on her with BB8 while I’m out, making sure that she’s okay (and following the rules!). The camera and tablet also have remote 2-way talk features. If you’re using it with an older baby, you could tell the baby to lay down or get back into bed. (Right now, hearing my voice just makes Joey yell more because I’m not there with him!) If I was using it with Sunshine, I could communicate with her via BB8 and the app. For example, if she had a question about her schoolwork or something else she wanted to do while I was out, she’d be able to get my attention and I could answer. One of the downfalls of using the WiFi for the video monitor is that our WiFi can get rather busy. One afternoon, I realized that we had four devices competing for the WiFi. Joey’s Vtech baby monitor was on, I was blogging on my main computer, Sunshine was using our secondary computer for her math lesson, and Pearl was playing Starfall on my tablet. Needless to say, I found my pages loading a bit slowly! 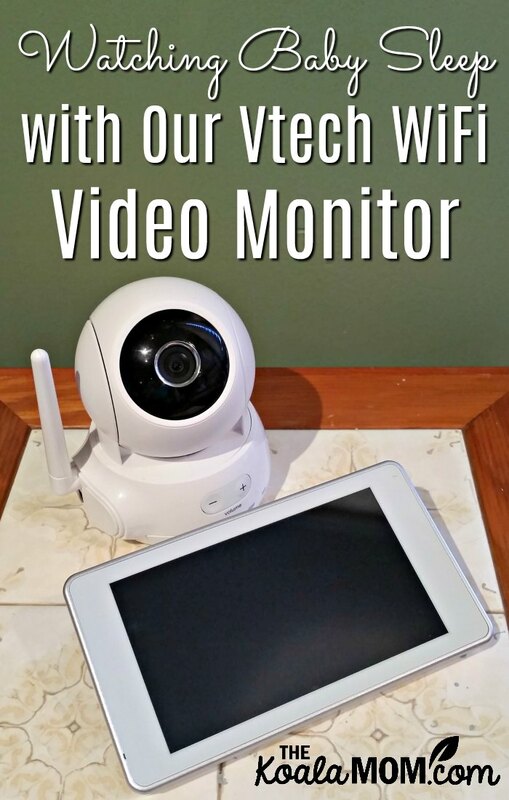 Do you use a WiFi video monitor in your home? What do you like or not like about it?